In his Great Commission, Jesus commanded his followers to go into all the world and make disciples (Matthew 28:18-20). Touchstone Missions is a ministry established to help people in our church do exactly that. Touchstone Missions exists to empower members of our church to use the gifts God has given them to share the Gospel of Jesus Christ beyond our local community. We organize our own trips to areas in need, both inside and outside of the U.S, as well as partner with other established organizations, like Samaritan’s Purse, Fifty5five, and Adventures in Missions. Places teams have gone include: Kenya, Mexico, Nicaragua, India, Cambodia, and disaster relief in Mississippi, Louisiana, Alabama, New York, Oklahoma, and Japan. To help people develop a global perspective of the Gospel, we host meetings where first-hand personal stories are shared from people who have gone on mission trips, presentations are given about mission opportunities, and a time is set aside for corporate prayer for God’s work in the world. We also try to introduce elements of the featured culture through food, music, clothing, and miscellaneous artifacts. There is always opportunity for questions and answers, and it is a great place to begin networking with people who also have a heart for missions. Refer to the news and events page and the church bulletin for upcoming mission meetings. Recordings of personal mission stories and presentations from past mission meetings can be found in the Media Library. Search with Type set to Missions. Click here for links to mission blogs of people who are currently on or have returned from mission trips. Read up-to-date field reports, journal entries, and prayer requests. Post notes of encouragement to people. View photos and videos of what is happening. 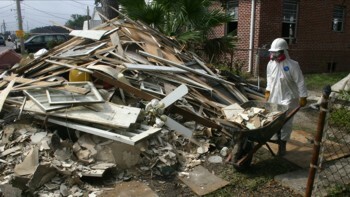 Organizes mission trips to areas in need. 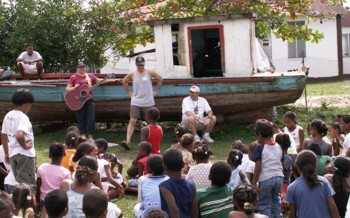 Provides volunteers and financial and logistical support for other ministries’ mission trips. Supports the mission trips of individual members of our church financially, logistically, and through prayer. Educates and informs our church about missions and acquiring a global perspective of the Gospel. Volunteers complete a Touchstone Missions application and undergo training for each trip/project. Other ministries have their mission trips approved by the Touchstone Missions Committee before receiving volunteers, financial or logistical support. Individual members of our church have their mission trips approved by the Touchstone Missions Committee before receiving financial or logistical support. For more information about missions, please contact the church office.